I am in Anaheim, California a few days for work. I am so close to Disneyland I can see it over the treetops. It rained this evening which I thought was rare for this area? Walking back from dinner I saw this little guy crossing the sidewalk. 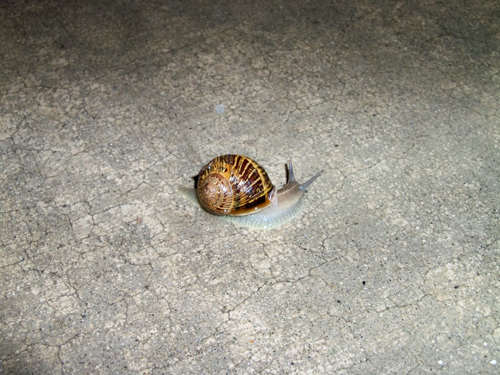 Funny how if it's a slug you think ewwww, but slap a shell on it and suddenly it's an adorable snail. Keep on, keepin' on little buddy.